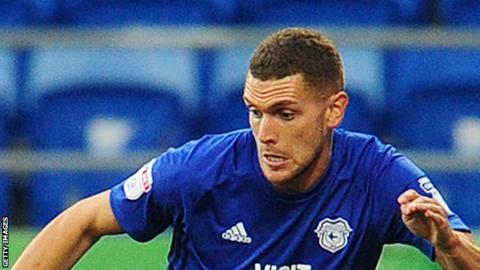 Plymouth Argyle have signed midfielder Stuart O'Keefe on loan from Cardiff City until January. The 27-year-old featured 25 times on loan at Portsmouth last season and has also played for Southend, Crystal Palace, Blackpool and MK Dons. He has played 45 times for the Bluebirds since arriving in January 2015. O'Keefe will not feature against Peterborough United, as Argyle are yet to receive international clearance.